January 2016 - Often it's the little things that keep work interesting. 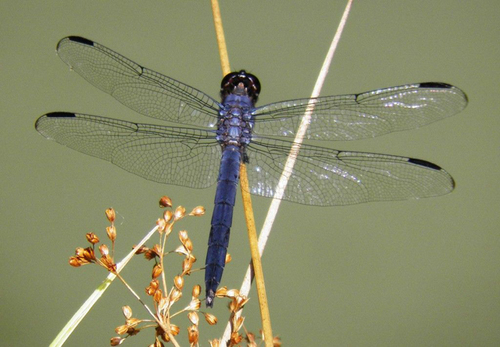 Case in point: Mark and Aaron's observation of Slaty Skimmer dragonflies during an ecological survey at Dublin's Brandon Park. This species has not been recorded for Franklin County, so MAD Scientist Associates has submitted photographs for verification of the record with the Ohio Odonata Survey.